L. T. Moore was born in 1815 or 1816 – records to that effect are unclear – in Loudoun County, VA. In 1840, he moved as a bachelor to Winchester, studied law, passed the bar, and began his practice in that town. Except for a brief stint as a Virginia state attorney in Winchester, he held no public office. He was active in the Masonic Lodge and local militia, and rose to the rank of Major in the antebellum 35th Regiment of Virginia Militia. He appears to have been present at Harper’s Ferry in command of militia troops during the John Brown raid in 1859. Still a bachelor, on April 1, 1856 Moore purchased out-lot number 52 from William McP. Fuller, a dentist. In 1854, Fuller had constructed a dwelling on the property, a Hudson River Gothic Revival cottage called “Alta Vista”. The two story, six-room house featured a panoramic view across Winchester, and was accented with diamond-pane windows, scrolled wood trim and tin roof. After Virginia’s secession from the Union in 1861, Moore became Lt. Colonel of the Fourth Virginia Infantry. The Fourth joined the Second, Fifth, Twenty-seventh, and Thirty-third Virginia regiments under the command of Brigadier General Thomas J. Jackson. At the battle of First Manassas on July 21, 1861, during a back and forth struggle for possession of Union artillery on Henry House Hill, Moore was seriously wounded in the knee. Reports of his death in the battle proved exaggerated, but he would limp for the rest of his life, and never again took the field. Moore recovered from his wound in Edinburg, south of Winchester. 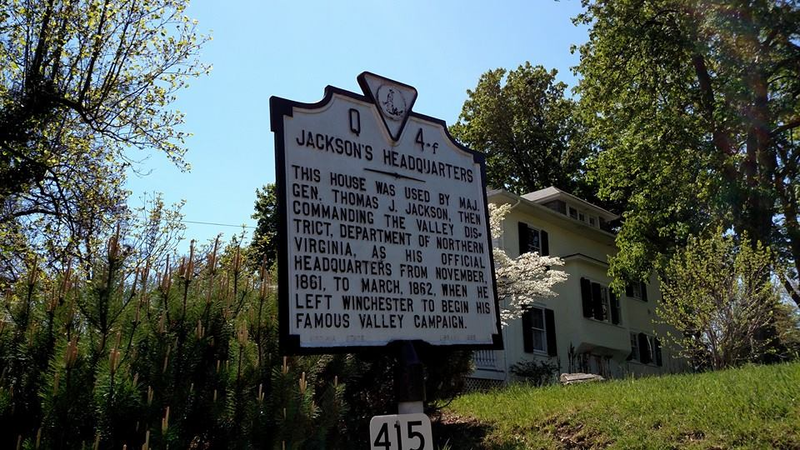 In November 1861, when he learned that his former brigade commander was establishing the headquarters of his Valley District, Department of Northern Virginia, in Winchester, the absentee owner of “Alta Vista” offered his home for Jackson’s use. The Major General now known as Stonewall accepted. He had been staying at the Taylor Hotel – partially owned by Moore – in the center of town, and he found it too crowded and conspicuous for his needs. Moore’s home on Braddock Street would serve as Jackson’s headquarters in Winchester until the Confederates evacuated on March 11, 1862. Jackson’s staff slept in the bedroom across the hall from his own, but the fraternity life in the house ended, and Jackson’s office on the first floor of Moore’s home was indeed “set off.” Anna travelled from the Jackson home in Lexington via Richmond. The General met her upon her arrival at the Taylor Hotel on the evening of December 21, 1861, and took her to Alta Vista. They stayed in the house until January 1, 1862, when Jackson left on the Romney Campaign. Anna moved two doors down to the home of Reverend and Mrs. James Graham. When Jackson returned to Winchester, he and his wife stayed with the Grahams. Anna became pregnant in February, and their daughter Julia was born the following November. Lewis T. Moore returned to his home at 415 North Braddock St. He married Mary Bragonier, a woman nearly 30 years his junior, in 1867, and they had five children. Moore, who was known to all as “Colonel”, built a large practice consisting of primarily lower income clients. He was active in the Hiram Masonic Lodge and the Confederate Veterans’ Ashby Camp. He lived at “Alta Vista” until his death, and was laid to rest in Winchester’s Hebron Cemetery on December 31, 1897. One of the resolutions passed by the Hiram Lodge in the Winchester News after his death read “Pure in heart, he was unsuspecting and easily deceived.” Interestingly, the only mention of Lewis T. Moore in “The Official Records of the War of the Rebellion” is in a dispatch from a Union spy, Michael Graham, to Union Major General Robert Milroy in May 1863. While describing Moore as a “rebel of the strongest dye”, the spy noted, “he has great confidence in me, and thinks I am a rebel at heart, as I pretended to be once in his presence.” The information Graham had gleaned from Moore stated that Lt. General James Longstreet’s corps had reinforced the Army of Northern Virginia, and General Robert E. Lee intended to move north into Maryland. 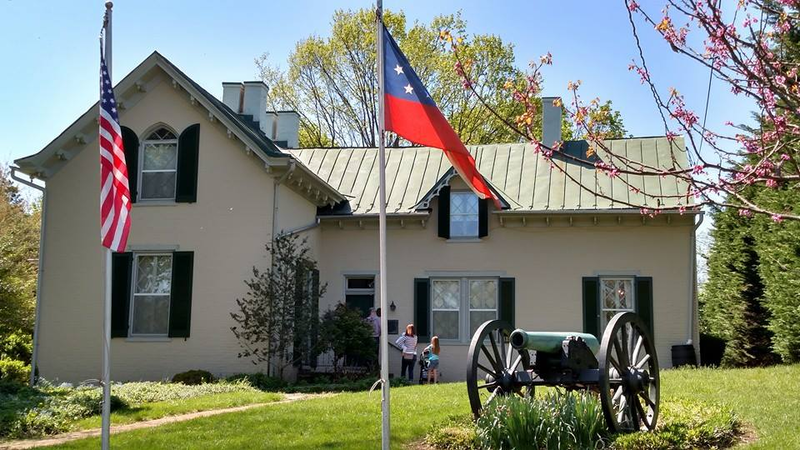 Today Alta Vista is owned by the City of Winchester, managed by the Winchester-Frederick County Historical Society, and maintained as a museum. The heating ducts from Jackson’s office to his bedroom are still there. The gilt wallpaper that Jackson so admired in his office has been twice reproduced and hung on the walls, most recently courtesy of “Colonel” Moore’s great-granddaughter, the actress Mary Tyler Moore. Thanks to Mr. Jerry Holsworth of the Handley Regional Library, Ms. Cissy Shull of the Winchester-Frederick County Historical Society, and Mr. Ben Ritter for their assistance. In recognition of yesterday’s 154th anniversary of the Battle of Perryville, here is the unedited version of my Collateral Damage article which ran in the June, 2011 edition of Civil War Times magazine. Click the images for larger ones. On the morning of October 8, 1862, northwest of the town of Perryville in Boyle County, Kentucky, Union Major General Don Carlos Buell’s gathering Army of the Ohio faced east across rolling terrain toward Confederate General Braxton Bragg’s Army of the Mississippi. Between the lines of Maj. Gen. Alexander McCook’s First Corps of Buell’s army and Maj. Gen William Hardee’s Left Wing of Bragg’s lay the farm of Henry Bottom. The area of the house and barn, on the western bank of mostly dry Doctor’s Creek where it crossed the Mackville Road, was also improved with stone and rail fences, some lining the road and creek, which would both afford cover and make maneuvering bodies of men problematic. On this very hot, dry, and dusty day the homestead’s location in the valley separating the two armies and its proximity to a water source placed it squarely in the path of the gathering storm. Bottom’s 760 acre farm was the ground over which much of the battle would rage. The battle would be marked by command confusion, erroneous assumptions, personality conflicts, and miscommunication on both sides, and proved to be the climax of a Confederate campaign meant to carry the war in the west from northern Mississippi to the banks of the Ohio River. Henry Pierce Bottom was born in 1809. He was a Baptist, a farmer, a cabinet maker, and Justice of the Peace, which earned him the moniker “Squire”. He took Margaret “Mary” Hart, 10 years his junior, as his wife in 1840. They had two sons: Samuel (1841) and Rowan (1848). Also living at the Bottom House in October 1862 was Henry’s 77-year-old uncle, William. Henry owned eight slaves, aged three to sixty-two, and Uncle William owned two more, aged two and twenty-two. 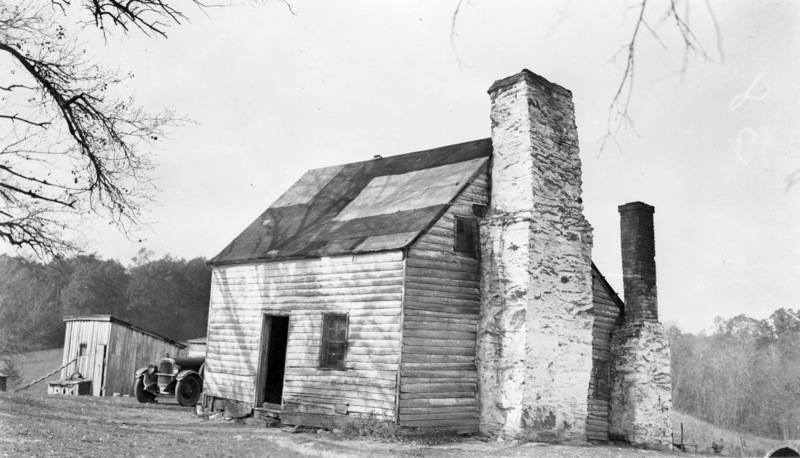 All ten slaves lived in one dwelling on the property. Henry was surrounded by relatives: across the road to the north lived his mother, the widow Mary “Polly” Bottom; to the south was his cousin Sam; to the northwest another cousin, the widow Mary Gibson. In 1860 Henry’s farm, where he raised cattle, sheep, and swine, and grew oats, wheat, rye, corn, peas, beans, and potatoes, was valued at $16,000. On the day of the battle, the Bottom’s substantial barn was filled with threshed wheat and oats for the approaching winter. During the fighting around the buildings, mostly between Colonel William Lytle’s Union brigade and those of Confederate Brig. Gens. Daniel Adams, Bushrod Johnson and Patrick Cleburne, several shots from Confederate artillery struck the barn. One of those shells set the structure ablaze. The heat was so intense that nearby Union soldiers could do nothing to help their wounded comrades trapped inside. This inferno in turn started a grass fire which would eventually kill a few more incapacitated men lying in the open. After what was a tactical victory, Bragg’s Confederates withdrew on October 9, and Henry Bottom’s farm was in shambles. He had already suffered the loss of fences and barn, and the house and outbuildings were pockmarked with bullet holes. In addition, the battle resulted in over 1,400 men killed in action, most of whom littered the field afterwards. The Yankee garrison understandably focused on tending to their own, and consequently dead Confederates were left unprotected from the elements. As feral hogs from nearby woods became a ghoulish nuisance, Henry Bottom and other local slaveholders were impressed by the garrison to assist in burying the Confederate dead, which they hastily did. After the occupying troops marched off, Bottom, other locals, and some students from the nearby Kentucky School of the Deaf exhumed and relocated many of the bodies to a plot on his farm. There they interred the bodies of 347 men, about 30 of whom he was able to identify from their possessions, in a compact mass grave. 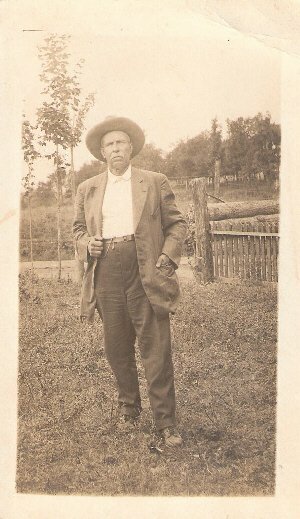 Henry Bottom remained on his farm after the war, but he was economically and spiritually broken by the effects of the battle – for the first time, he was forced to buy food to feed his family. Henry filed a claim against the U. S. government for damages that occurred after the battle as a result of additional demands by the army: $1,282 for “commissary” items such as pork, beef, bacon, cattle and sheep; and $3,580 for “quartermaster” goods including wood, corn, hay and oats. But in addition to showing that the losses were incurred after and not during the battle, a claimant had to prove that he had been a loyal citizen of the United States. Some of Henry’s neighbors claimed he was not only disloyal but was the area’s most prominent secessionist, and his claim was denied. But in 1902, his son Rowan re-filed the claim. The counter-testimony of other of Bottom’s neighbors attesting to his Unionism and disparaging the motivations of his detractors was considered by the Court of Claims, and Rowan was awarded $1,715 by act of Congress in 1914. Henry, who died in 1901 at the age of 92, is perhaps best remembered for his Confederate Cemetery. 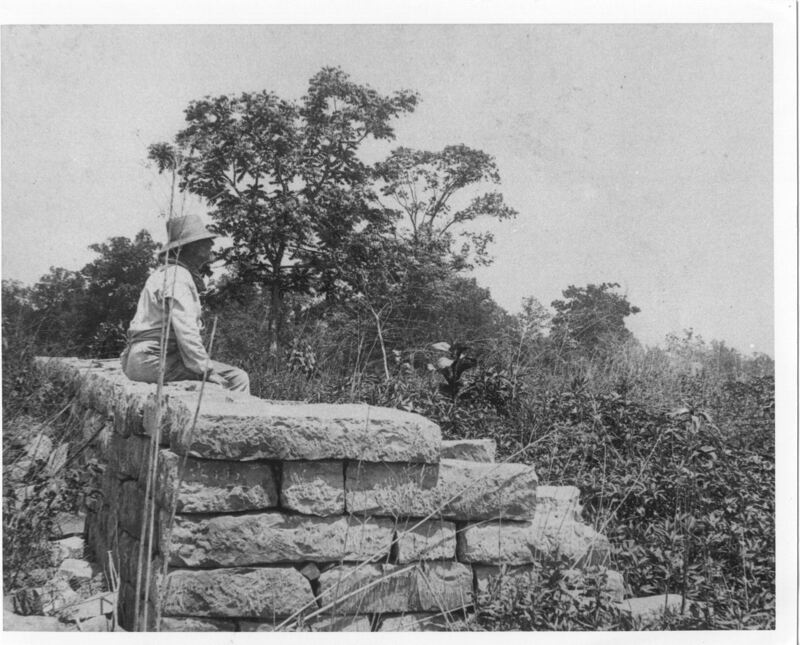 He had attempted to construct a stone wall around the site, but in 1885 it was incomplete and overgrown, and would remain so until the next century. On October 8, 1902, thanks to fundraising by the United Daughters of the Confederacy, a twenty-eight foot tall granite monument was dedicated within the now completely walled-in cemetery. 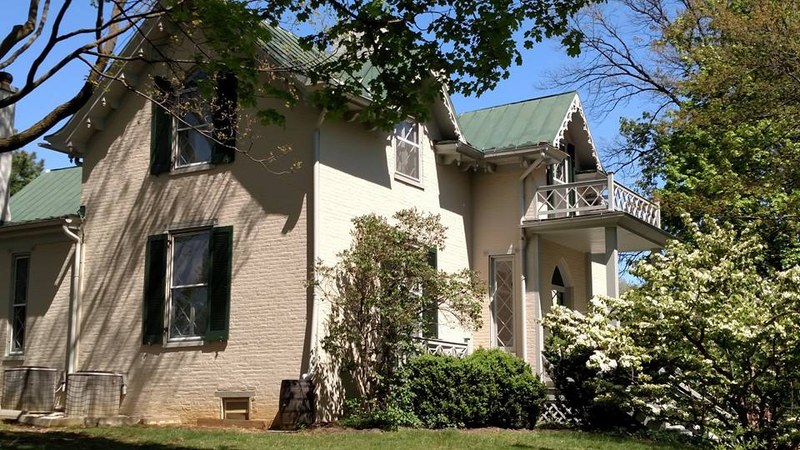 The restored Bottom House can be viewed just outside the Perryville Battlefield State Historic Site, which consists of 745 acres, with another 300 protected by easements and over 7,000 total acres recognized as a National Historic Landmark. The park also includes a visitor’s center and museum, walking trails, and a Union monument near the Confederate cemetery. The “Squire” Bottom house is on private property. Thanks to historian Kenneth W. Noe, author of Perryville – This Grand Havoc of Battle, and Kurt Holman of the Perryville Battlefield State Historic Site for their assistance. Popular History – What’s the Problem? I last wrote about my recent foray into popular history works concerning the American Civil War here. I wrote then that I was cutting the author, T. J. Stiles, slack in relation to what I described as errors of fact not necessarily substantial to the study. If you read the comments or follow Bull Runnings on Facebook, you know that shortly thereafter I gave up the, umm, endeavor, because it became evident that the author was building a case regarding the personality traits of the subject based on what I considered to be shallow and antiquated characterizations of a parallel subject. In addition I felt that those characterizations of that parallel subject were based on scholarship that was far from exhaustive at best and, well, biased at worst. Long and the short of it – I gave up on that book, something I am loathe to do. So I picked a new read, Stacy Schiff’s The Witches: Salem, 1692. I’m finishing it up now. I like it. A lot. And that’s got me to thinking: why the different reaction? It’s not based on the authors’ skills as writers – both Stiles and Schiff have garnered awards, including Pulitzer Prizes. And it can’t be the quality of their research because I don’t know crap about the Salem Witch Trials, or for that matter 17th Century Massachusetts (which in many ways seems as confounding and contradictory as 19th Century Massachusetts and, let’s be real, 21st Century Massachusetts and everything in between). But therein I think lies the answer: I don’t know anything about Schiff’s subject. And so, I have to take her word. Not so Stiles. Both Stiles and Schiff have written multiple books about historical figures and events. Both are wonderfully skilled writers. Why don’t they stick to one specific time period? Why? Because they don’t have to, that’s why. They’re that good. And if an author is that good, why limit him/herself? Which leads me to my ongoing complaint about the quality of Civil War literature, real Civil War literature, by authors whose main focus is that particular period of our history, often narrowed to a fine point within even that tight time frame (say Gettysburg, or Lincoln, or even Bull Run – though I try to read more broadly). For most of us, it’s all, by and large, tough to read. Even the super-rare, well crafted stuff. And why is that? Well, part of that probably lies in the opportunities available to really good writers like Stiles and Schiff to pick their targets and sell more copies of more generally appealing books. But another, big part has nothing to do with who writes these more focused books and everything to do with who reads them. We know too damn much for our own good – at least, from a pleasure standpoint. We’re doomed to read these focused books as if it’s a job, analyzing every footnote. And we’re doubly doomed when it comes to popular histories that touch on our particular field of study, because we’re probably more familiar, to varying degrees, with the material and its nuances than any generalist author could ever hope to be. We have at least formed our opinions based on a lot of reading. Hopefully. And so, these works (like Civil War films) are typically enormously frustrating. For us. It’s sad in a way, but we have to accept it. So I’m probably done with pop ACW. (I realize that some might argue that there are “specialist pop-historians” working in the genre, that is, who write shallowly on many ACW topics, but let’s leave that alone for now.) Conversely, I’ll probably not read more on Salem, or Carthage, or Montcalm & Wolfe, or Agincourt, or Gallipoli, to name a few, so as not to spoil what have been great one-off reads for me. Well, maybe more on Gallipoli. But that’s it. That is it. No more. I don’t think. The below article was published in Civil War Times magazine back in 2010 as an installment of my In Harm’s Way/Collateral Damage column. Since the 152nd anniversary of the battle just passed, here’s the article as submitted (some changes were made to the final product.) See my photo gallery of the farm here. When he realized that the men streaming past his home were Union soldiers and not the Confederates who had been in the fields the past two days, William Roulette burst out of his cellar door: “Give it to ‘em,” he shouted to troops of the 14th Connecticut, “Drive ‘em! Take anything on my place, only drive ‘em!” While the Second Corps of the Army of the Potomac would eventually drive the Confederates from their line in the sunken Hog Trough Road that separated his farm from that of his uncle Henry Piper to the south, they would do so while very nearly taking Mr. Roulette up on his offer fully. When the armies of Robert E. Lee and George McClellan met just north of Sharpsburg in Maryland’s Washington County on September 17th, 1862, on what would become known as the bloodiest day in U. S. history, they did so on farmsteads that were predominantly well established and prosperous. Much of the area was settled in the first half of the 18th century by families who relocated from Pennsylvania’s Lancaster County. One of those families was that of John Reynolds, who in 1761 purchased a part of “Anderson’s Delight”, including a house that was constructed as early as 1748. By 1800, two additions were complete resulting in a frame, stone, and log dwelling of more than 2,000 square feet, not insubstantial even by today’s standards. 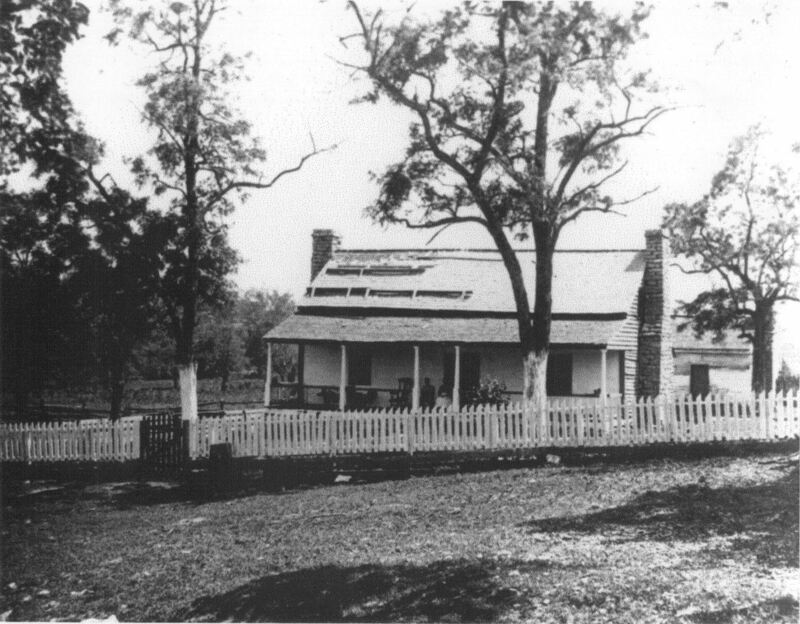 In 1804, the farm was purchased by John Miller, Jr. of a prominent area family. In 1851 and after John’s death, his heirs sold the farm and widow’s dower for $10,610 to son-in-law William Roulette (sometimes spelled Rulett), who had married John’s 17-year-old daughter Margaret in 1847. William was the grandson of French immigrants to Washington County, and a son of the sister of neighbor Henry Piper. In 1862 he and Margaret were raising corn on his 180 acre farm, along with five children ranging from under two to thirteen years of age. Living with the Roulettes was Nancy Campbell, a former slave of Margaret’s uncle Peter Miller. At 37 William, a successful farmer with a paid servant, was also serving as a unionist Washington County commissioner. 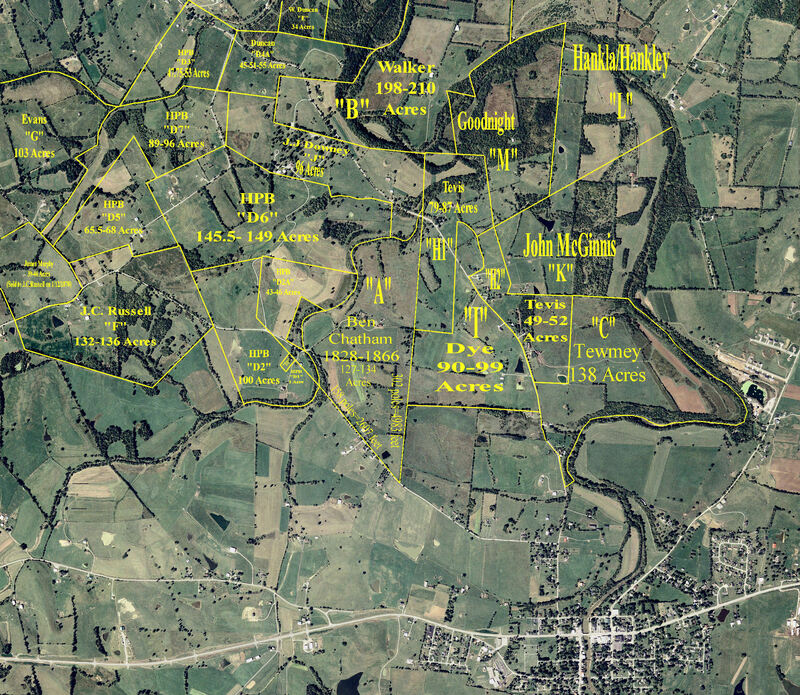 The Army of Northern Virginia concentrated in the fields north of the village of Sharpsburg and on September 15th. Despite obvious signs of impending danger, William determined to ride out the storm with his family in his home. But as it became more obvious that his farm was likely to be in the thick of things, he removed his family some six miles to Manor Dunker Church where they were taken in by a minister. At some point on the 17th, he returned to the farm to look after his stock and became trapped between the defensive line established by Confederate General D. H. Hill’s division and the rapidly approaching division of Union General William French. First Mr. Roulette took refuge in his basement and then, after emerging to shout his encouragement and offer up his worldly possessions to the boys in blue, headed north to the rear. The fighting in this sector of the battlefield of Antietam, during what is referred to as the middle phase of the battle, was some of the most severe of the war. Two Federal divisions advanced over the Roulette farm fields and hurled themselves against the stoutly fortified but outnumbered Confederates in the sunken farm lane. The Confederates were finally driven south across the Piper farm, but damage to the Roulette place was extensive. An artillery shell ripped through the west side of the house, travelling upward through the first floor ceiling. At least one bullet fired from the vicinity of the sunken road entered though a second story bedroom window and passed through two walls and a closet in a middle bedroom (this damage can be seen today). Another shell upset beehives in the yard to the rear of the dwelling, causing confusion among the green troops of the 130th PA. Chaplain H. S. Stevens of the 14th CT recalled: “During the battle the rooms were stripped of their furnishings and the floors were covered with the blood and dirt and litter of a field hospital.” Dead and dying men lay scattered across the farm, filling the outbuildings. When the Roulettes returned after the battle, they found crops trampled, fences down, and personal property, including food, carried off. Soldier’s graves dotted the landscape. On October 3, 1862, Mr. Roulette filed his first claim against the United States for damages to his property. Over the years his claims would include items large a small; fences and crops, featherbeds and carpets, structural damage, one beehive (and bees), chickens, blackberry wine. Claims were also made for nine acres of farmland ruined by the passage of men and equipment, and additional “buriel [sic] ground for 700 soldiers”. The grand total for his final claims filed in February 1864 was $3,500. In the 1880’s he received $371 for a hospital claim, but only minimal other payments. He was paid nothing for damages to his home and outbuildings. William Roulette was well off before his farm became the center of a storm of men, horses, and lead on September 17, 1862. Despite his failure to collect significant reimbursement from the Federal Government for the taking of “anything on my place”, he and his family would recover – for the most part. About a month after the battle, the youngest Roulette child, Carrie May, described by William as “a charming little girl twenty months old…just beginning to talk”, died of typhoid fever. The sting of this loss was softened a bit 24 months later, when Margaret gave birth to the couple’s last child, Ulysses Sheridan Roulette. Despite the damages, William’s heart was still with the Union. 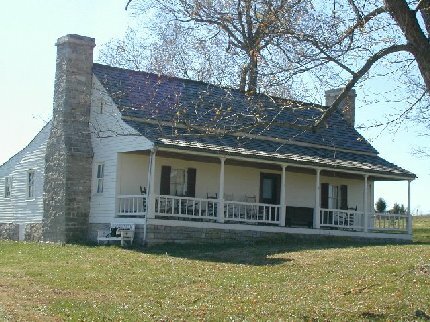 The farm remained in the possession of the Roulette family until 1956, and in 1998 the National Park Service acquired the property via The Conservation Fund. Restoration of the exterior of the house and the first floor interior to their 1862 appearance is planned pending funding. Thanks to Antietam National Battlefield Historians Ted Alexander and Keven Walker and to Mike Pellegrini for their assistance in the preparation of this article. In honor of the 150th anniversary of the Battle of the Wilderness and The Overland Campaign, here’s the original version of my Collateral Damage article that ran in the August, 2011 edition of Civil War Times. For real time tweets of the tours this week, be sure to follow Sesqui tourist extraordinaire Craig Swain @caswain01 on Twitter and look for the Overland150 hashtag. The Battle of the Wilderness, fought in early May 1864, marked the beginning of Ulysses S. Grant’s Overland Campaign. For two days, the Union Army of the Potomac and the Ninth Army Corps battled Robert E. Lee’s Army of Northern Virginia in a hellish tangle of thick, second-growth forest along and between the Orange Turnpike to the north and the Orange Plank Road to the south, in Virginia’s Spotsylvania County. 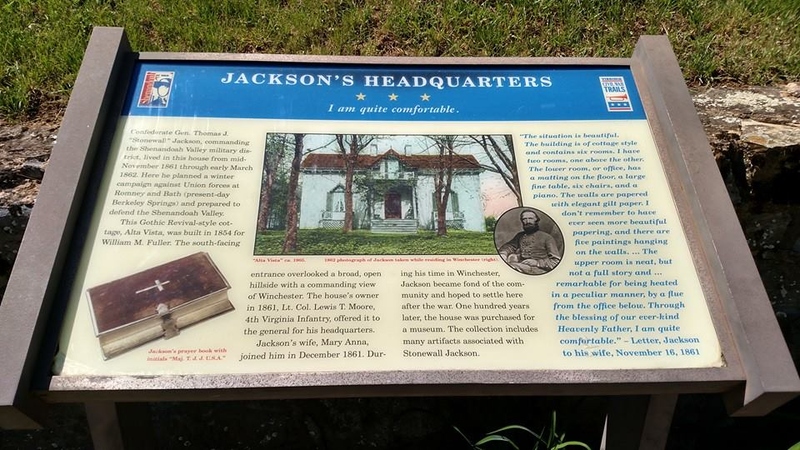 Two farms, today located along Hill-Ewell Drive in Fredericksburg and Spotsylvania National Military Park, were in 1864 situated at the center of the fighting; both were witness to singular events. The northernmost farm, also known as “Spring Hill” and “Oak Hill”, was the home of Permelia Chewning Higgerson, 34. Her husband Benjamin, who was 20 years her senior, had died of smallpox in December 1862. One year later, Benjamin’s son from an earlier marriage, James, died in a Richmond hospital, also from smallpox, which he had contracted as a member of the Ninth VA Cavalry. Living with the Widow Higgerson were her five children – four boys and a girl aged two to eleven. In 1860, Benjamin Higgerson’s real estate was valued at $500, his personal properly was worth $1,370, and he owned two slaves. The house was a small, three room, one-and-a-half story frame structure which sat in a clearing about three quarters of a mile south of the Orange Turnpike. About one mile to the south was the home of Permelia Higgerson’s parents, William and Permelia Chewning. Like her daughter, Permelia Chewning was a widow. William had died the previous June at the age of 73 as the result of an injury sustained in an accident at a local mill. In 1860, William Chewning’s real estate was valued at $1,500 and his personal estate at a respectable $14,400. He also owned thirteen slaves. 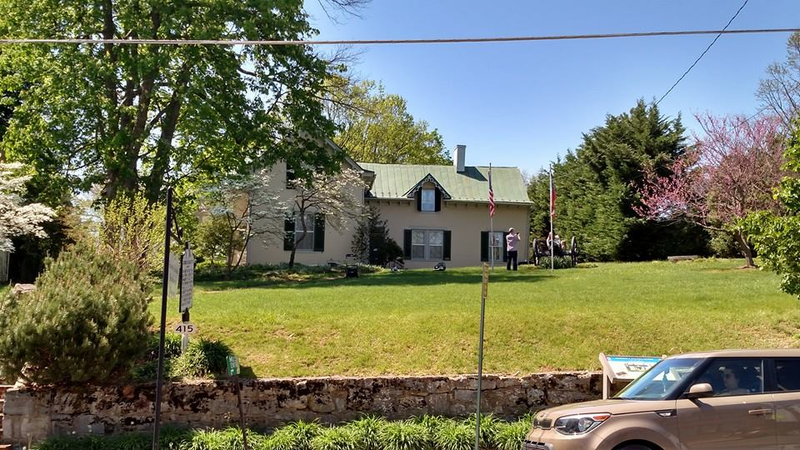 The 72-year-old Widow Chewning lived with her 38-year-old daughter Jane and 30-year-old son Absalom in a two and one-half story frame house known as “Mount View”, situated in a clearing on a ridge on the 150-acre farm. The farm produced wheat, rye, corn, oats, potatoes, and tobacco. It also had a commanding view of the surrounding countryside. Both farms played prominent roles in the battle. On May 5, Union general James Wadsworth’s division struggled westward through thick underbrush to keep pace with the rest of Union 5th Corps attack on Confederate General Richard Ewell’s lines. Colonel Roy Stone’s brigade passed through the clearing around the Higgerson house, tearing down a fence and laying waste to the garden despite the Widow’s loud objections and predictions of their impending defeat. After passing the house the men entered swampy ground near a tributary of Wilderness Run: “That’s a hell of a looking hole to send white men into”, shouted one soldier; another advised his comrades to “label” themselves, as death was certain. Soon they found themselves mired in waist-deep water, causing a gap to open in the Union line just as Confederate troops crashed into the isolated Pennsylvanians. Heavy casualties forced them to retire, and as they poured past the house, the Widow Higgerson again pelted them with taunts. Farther south, the placement of the Chewning house on high ground from which enemy positions were clearly visible made it desirable to both sides, and possession changed hands over the two days. At one point, a group of Union soldiers had taken over the house and was inside vandalizing it and preparing dinner when Permelia Chewning flagged down her relative Markus Chewning (a scout for Confederate General Fitzhugh “Rooney” Lee), who was coincidentally riding alone along the road from Parker’s Store to the south. After the Widow Chewning filled him in about what was happening, Markus rode rapidly around the house to convince those inside that they were outnumbered and should give up. The ruse worked – leaving their weapons inside the Yankees surrendered to Markus. Nevertheless, the writing was on the wall: Mount View was soon to become a hot place. The Widow Chewning gathered some things and left the house soon after. The Chewning house and farm was in a shambles after the battle. Absalom later testified: “Everything was gone – all the crops, all the stock, all the fences. Also, a tobacco house, a shop, and an ice-house were destroyed. I found some of the materials in the breastworks around the house.” The Widow Chewning filed a post-war claim with the Southern Claims Commission for just under $3,600, including lost fence rails, cordwood, and livestock. The disposition of the Chewning claim is unknown. Fire destroyed the Chewning house in 1947. The younger Permelia – Higgerson – remarried in 1867. 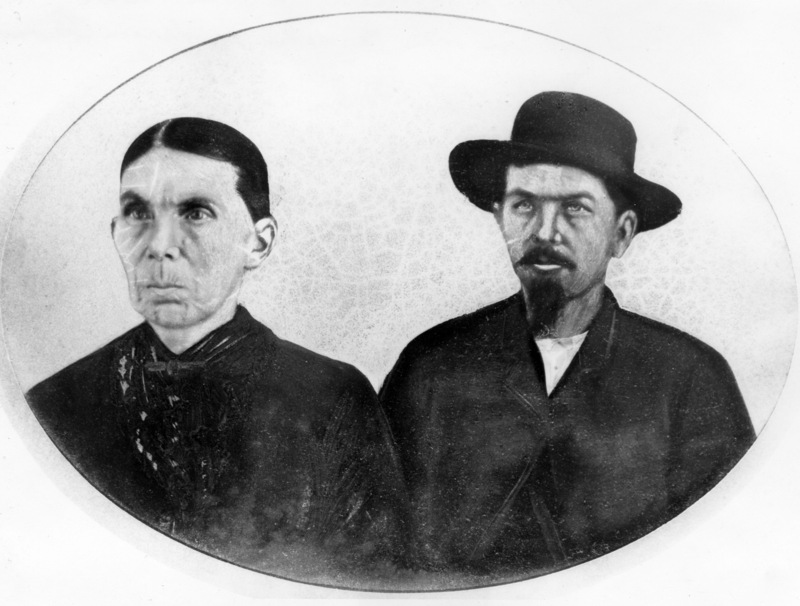 She and William Porter had two children, Cyrus and Ann, and moved to Missouri on the Mississippi River to a place they called “Higgerson Landing”, consisting of a house, a store, and a one-room schoolhouse that survives to this day. Permelia’s second marriage eventually fell apart. About 1871 William Porter ran off to Louisiana and Montana with Permelia Higgerson’s 16-year-old daughter, Jacqueline. After fathering four children with her, Porter deserted Jacqueline as well. The Widow Higgerson passed away in 1897 in Missouri. 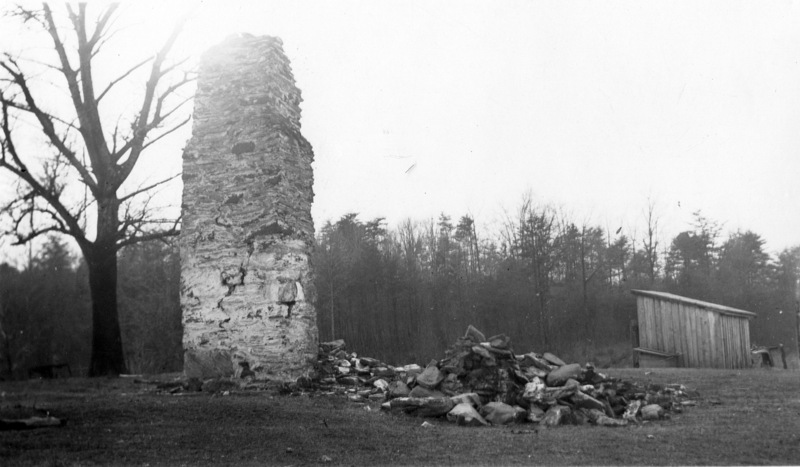 The Higgerson House disappeared in the 1930s, but remnants of its chimney survive today. Thanks to Josef W. Rokus and Noel Harrison of Fredericksburg & Spotsylvania NMP for their assistance in preparing this article.